Good grief, this is getting old quick and this time around, it comes with a generous portion of irony. If you read my last entry here, and I’m sure you did, I began by mentioning we’d lost Marty Greim in April and that he’d contributed to my Mighty Crusaders piece for BACK ISSUE #94. Marty’s comments were pretty brief and despite my best efforts, I was having the devil’s own time getting other involved persons to go on record. Thankfully, Rich Buckler came through in spades, though I’d heard he was dealing with some health issues. Without his generous input, the article would have been a complete bust and it nearly turned into a full-fledged interview. Well, as it happens, Rich passed away on May 19 at the age of 68, just a few weeks after Marty, though Mr. Greim was 74-almost-75. The irony lies, obviously, in the fact that my two contributors left this world so closely together. I didn’t really get to know Rich very well. He was very kind and outspoken for the piece and we didn’t actually speak as he’d chosen to respond via e-mail. I’d met him at the Denver Con a few years ago and he wasn’t very busy, so I introduced myself and asked if he’d sign my sketchbook. He did a rudimentary sort of half-face of his original character, Deathlok and gave me his card, which featured his surrealistic efforts. Frankly, it didn’t do much for me, but whatever floats your boat. We didn’t really become fast friends, but he was kind enough to help me out and for that alone, never mind his huge volume of work on nearly any character you can name at either of the Big Two, I wanted to do a small tribute to the artist. One of Rich’s earliest published pieces at DC was in a fairly common avenue for new talent, as we’ve seen time and again here at the Silver Lantern: The House of Mystery. 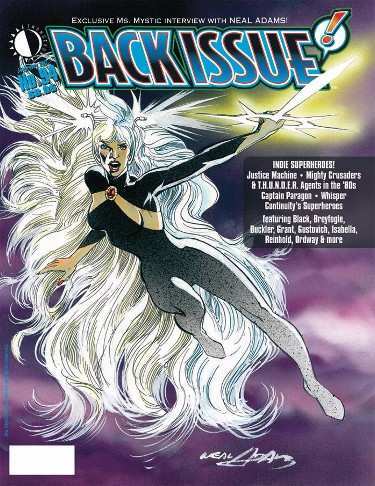 Issue #199 had a publication date of February of 1972 and came in at a whopping 52 pages. 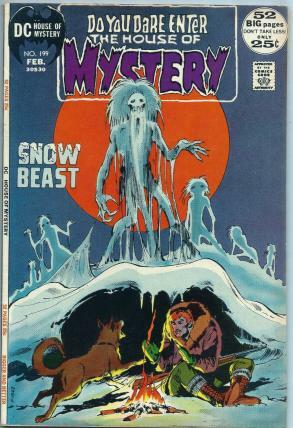 The cover was by Neal Adams and interestingly enough shows the title “Snow Beast,” which was also the name of the story Rich illustrated, but there is virtually no relation between the cover and the 8-pager. Joe Orlando was the editor with Mark Hanerfield assisting. The story was written by Lynn Marron, a name that doesn’t mean much to me. Snow Beast is set in Alaska during an indeterminate time period, but it centers on the mining going on at the time. As you might guess, the specter in the story is an abominable snowman, or the Su-Ka-Tae in the local native dialect. The featured characters are Kirk, Sam and Nita, who seem to be in something of a love triangle. Kirk and Sam are partners in the mining endeavor and Nita is Sam’s girlfriend. Additional tension in the plot comes from a thinly veiled accusation that Kirk has been stealing from his partner and they’ve sent Nita’s uncle to check the mine. Just then, Nita bursts into the cabin to say her uncle is missing. They board the dog sled and go off in search when they find the savaged body. While Sam speculates that it might have been a grizzly bear, Nita emotionally replies that it was the snow beast, Su-Ka-Tae. Sam doesn’t believe in the beast, but offers to search for her uncle’s killer, but first he wants to know more about these legends. Unfortunately, no one in the village is cooperating, so he is directed to seek out the Shaman. The man explains the history of the Su-Ka-Tae and informs Sam that they used to have many numbers, but that because the Indian peoples had been favored by deity, the beasts grew jealous and went on the offensive. Occasionally a squaw would be cursed and give birth to one of these fur demons, but they were retaliated against and soon were hunted nearly to extinction. The few that remained went into hiding. When Sam inquires about finding them, he is told that an old woman from the tribe lived among them and finally escaped, but lived in shame. He is told to seek her out. When Sam tells Nita and Kirk where he’s going, Nita protests that the hermit woman won’t speak to a white man, so she, a native, needs to go with him. The old woman still refuses and suggests that the howling in the wind portends death. Non-plussed, Sam and Kirk split up to go on the hunt, but Kirk is up to no good. He is determined to take the spoils of the mine and dons a disguise of a snow monster to take Nita captive since she loves Sam and not him. Trussing her up in the mine shaft, he admits to killing her uncle because he’d found the gold. He further reveals that the “snow beast” will be the death of them all. Just then, Sam bursts in, having heard the entire conversation through the echoing in the mine tunnel. Soon fisticuffs are brought into play and Kirk’s weapon discharges, causing a cave-in. The wounded Sam locates Nita and then sees a menacing shadow. It is Su-Ka-Tae, but before he can panic, Nita tells him that he is actually the son of the old woman, who is also present and he helped to save her. He lives in the abandoned mine. They lead Sam and Nita out of the cave-in to an alternate exit and when they emerge, the hermit points to the fleeing Kirk and tells her son that he is the one who has been killing in the name of the snow beast. He makes short work of the thief and he and his mother then melt into the landscape, ending this short story. 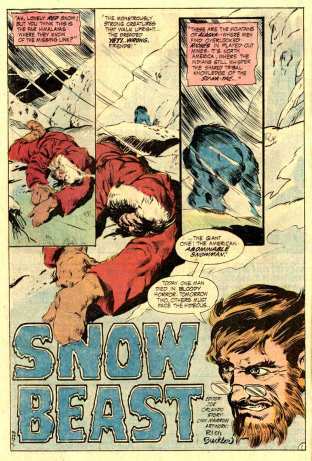 The tale itself was kind of “meh,” but Rich Buckler was something of a prodigy and despite this being a sort of try-out story, it was obvious that his talents were right up there with the photo-realism displayed and it was easily the best part of “Snow Beast.” As his career continued onward, he even did some editing and writing and once had George Perez as an assistant and helped nurture other talent, often from his native Detroit. 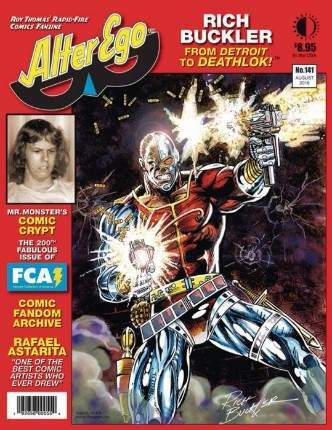 Alter Ego #141 did a very nice feature interview with the creator that is worth checking out and goes into much more detail in recounting a long career. You left us too soon, Rich, but we’ll always have the revival of the Mighty Crusaders among many, many other efforts to remember you. Godspeed. As I’ve said far too many times in the recent past, I really hope I’m not doing any more tributes any time soon. It really seems like our creators, even the Bronze Age variety, are leaving us at an alarming rate. The only way to know for certain is to come back on June 15th for the next edition of our ongoing feature. As always, your input is requested, so any questions or comments or wishes for a spotlight that might interest you can be entertained at my handy and regularly monitored e-mail. Just send a note to me at: professor_the@hotmail.com.